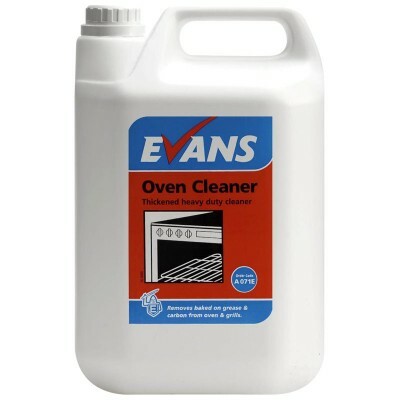 Thickened heavy duty oven cleaner, powerful and effective, removes the most stubborn baked on grease. Suitable for use on the interior of enamelled ovens, enamelled surfaces, griddles and cast iron hobs. HOW TO USE: Warm the griddle or oven to 40 - 50 C. Switch off appliance. 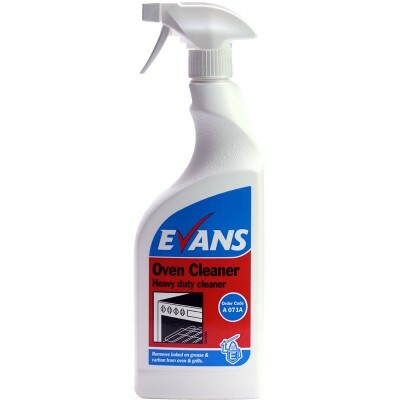 Carefully wipe or spray undiluted OVEN CLEANER onto surface. Leave for 10 - 20 minutes. Agitate with brush or scouring pad. Rinse off with clean water. NOT TO BE USE: On the exterior of ovens, aluminium, painted , easy to clean or self clean surfaces.